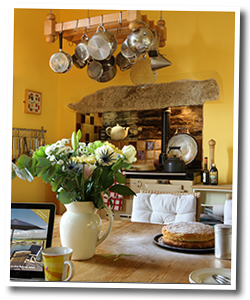 Our larger properties, The Main House and The Old Gallery, have become the perfect place to celebrate with fellow hens in a sophisticated, yet relaxed setting. We can accommodate groups between 10 and 22. (For a smaller hen gathering, we have our courtyard cottages. We emphasise the words ‘sophisticated’ and ‘relaxed’. If you’re looking for a wild time with outrageous entertainment and partying until dawn, then please don’t book with us! If, however, you’re looking for spacious surroundings, a place with character and style that will leave you with wonderful memories and somewhere where you can relax and unwind with your close friends (and maybe your mum too!) then we are the place to choose! Have your groceries delivered and unpacked Waitrose, Tesco, Morrisons, Ocado and Sainsbury’s will all deliver here – during the day you arrive. Whilst we’re preparing your accommodation, we’ll unpack the frozen and chilled items and place them in the fridge, so that everything is ready! Arrive Friday From 3.30pm to your accommodation warm and lit and relax with your welcoming Yorkshire Tea tray including Paula’s delicious homemade cake! 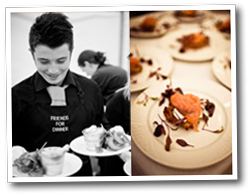 Order Friday evening food We have arrangements with Food Glorious Food, More More More! and The Original Supperbox Company. Pop some of your delivered food into the Aga/ range cooker to heat through. Check the bubbly is chilled and the nibbles are out. Get ready to greet your fellow hens as they arrive. Flop into a squishy sofa in front of the fire and catch-up on all that news and girly gossip! Saturday morning Book some Pamper Treatments from Glo-pamper or enjoy the hot tub, sauna and workout room in The Cellars (immediately adjacent to your accommodation). Saturday afternoon Craft Workshop – organised by The Crafty Hen. 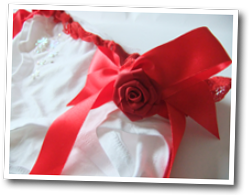 Make Bouquets and button holes, corsages or frilly knickers! Or, if you prefer to be outdoors, how about an organised Treasure Hunt ending-up at The Little Tea Rooms in Ilkley? Saturday evening Enjoy pre-dinner in your own private bar. Toned, athletic bar staff can be booked to serve cocktails! Saturday evening Dress-up for a special gourmet meal prepared by your own private chef. This can be combined with a murder mystery or other theme. Sunday morning Maybe the full buffet breakfast at a nearby hotel (five minutes walk along the edge of Ilkley Moor) will tempt you or perhaps head for our workout room and hot tub, or just nurse your hangover and chat in the kitchen with pots of freshly brewed coffee whilst leaning against the warm Aga!
. 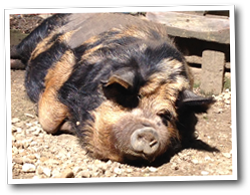 . . or get the bride-to-be scratching the backs of our kune-kune pet pigs – hilarious! Sunday lunchtime Blow the cobwebs away on Ilkley Moor or along The Dalesway riverside walk, ending up at a local village pub for Sunday lunch. Sunday afternoon Life Drawing Class – Graham will introduce you to this sophisticated age-old art form through a mix of fun-filled games and exercises that just might bring out your inner artist! Refined, fun and educational. Sunday teatime Farewell group photos on our roof garden with the stunning Ilkley Moor and Wharfedale as the backdrop. Sunday evening Head home, or stay on until Monday morning if you can! We are in a very central location. 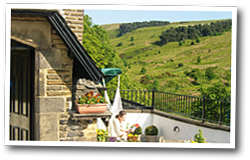 If your hens are coming from around the UK (or even some from abroad), you’ll find us to be in a very central location. There are great road links. The M1, A1, M62 and M65 are all within half-an-hours drive. 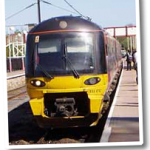 There’s also an excellent, frequent train service to Ilkley (the station is just a ten minute walk down the hill, or two minutes by taxi), taking less than 30 minutes from Leeds. London/ Birmingham/ Newcastle/ Liverpool are all around 2 hours by train to Leeds.